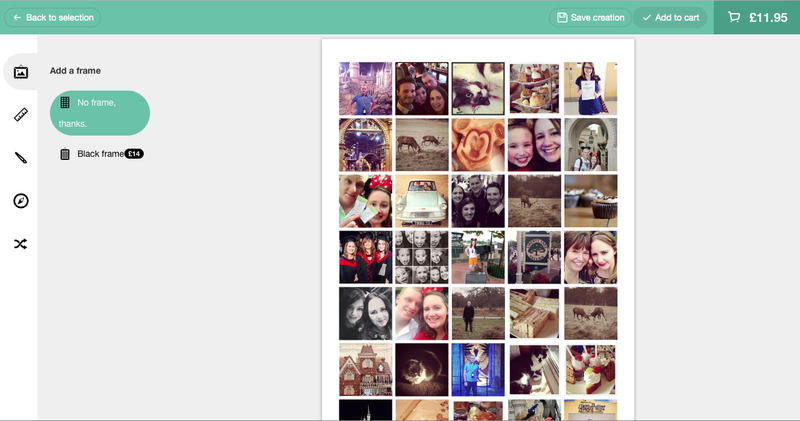 Today I'm telling you about a fab range of photo products from the people at Cheerz! [Formerly known as Polabox - Updated: January 2018] I actually discovered the website through a sponsored post on my Facebook feed, I usually never ever click on any of those sponsored posts but for some reason Cheerz stood out for me. As a bit of background I've been looking to find something to fill a huge blank space on the wall in our living room, and although I already have a big frame with nothing in it I haven't been able to decide on a photo I like enough to fill it in the year since we moved in. 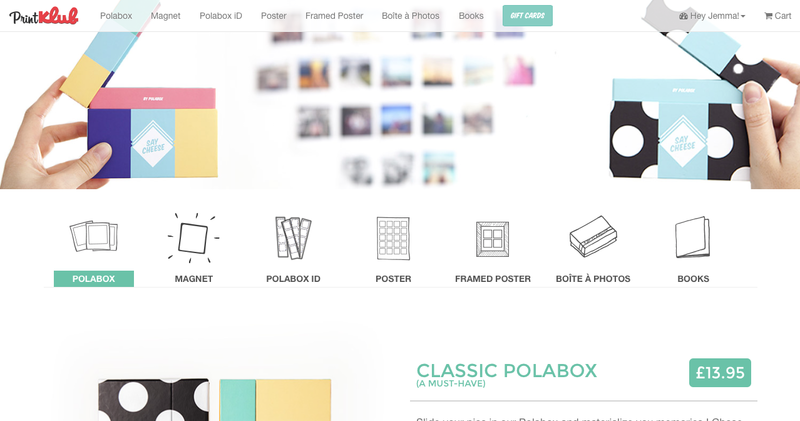 What attracted me to Cheerz is their Instagram style collage poster prints which although their boxes of Polaroid style prints are seriously cute too! I decided on a collage print for my wall as I felt having a number of the little square images would be less in-your-face than one massive print, I'd be less likely to get sick of it over time, and I wanted something reasonably priced. There are three size options for posters that feature up to 35 of your favourite images (shown below) starting from £15 + Delivery. The beauty of the website is that it allows you to import images from your computer, Facebook, Instagram, dropbox and more and then automatically generates the poster for you. You can choose the template for the images, the orientation of the poster, and also swap the positions of each image if you want a specific layout. I decided on the 50cm x 70cm poster and chose around 100 photos [Note: Posters are now limited to up to 35 images - Updated: January 2018], it was really simple to go through my Facebook albums and pick out my favourites and I supplemented these with a few on my laptop too. I played around with the layout and cut down a few of the images to get an even number of squares (if you choose an odd amount you can end up with missing photos etc. as it generates a format that will fit them all in). 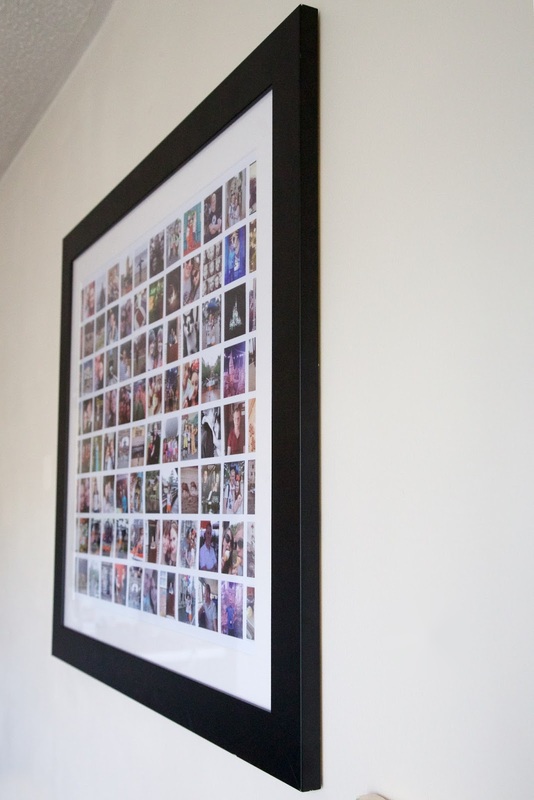 I didn't choose to add a frame because I already have one but you can buy one for just £25.00. Cheerz is part of the PrintKlub company based in France so delivery takes about a week and it arrived rolled up in a cylinder. I was able to get £4.00 off using a referral code so both the poster and delivery cost me around £15.00 which I thought was pretty impressive! The poster itself is really good quality and the photos are nice and clear. To make it fit my existing frame I had to cut the borders off either end but other than that it fits really well. 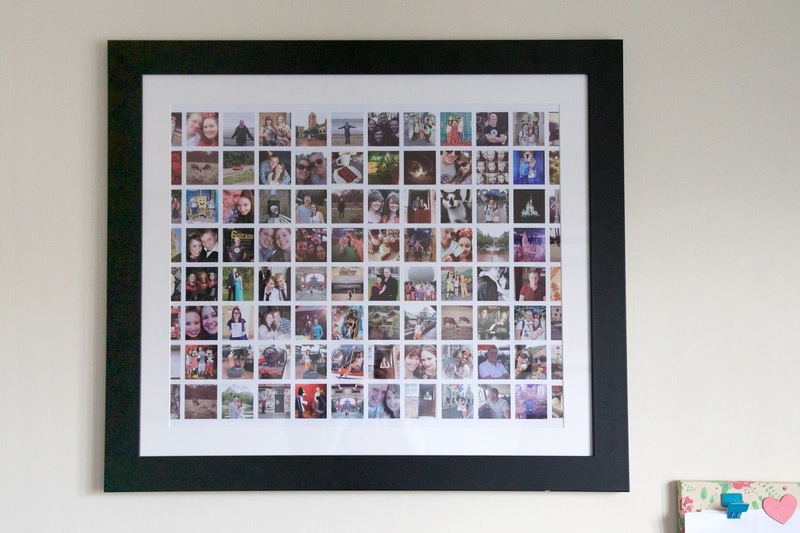 I love looking at all the photos of me, my boyfriend and my friends over the past few years and I've already received lots of compliments on it from people when they've come over to our flat. It is just really fun to look at and it's nice to finally have all of these images in print form and not just on my phone or Facebook! If you'd like to get a poster of your own or any other of the Cheerz products you can receive £4.00 off your first order using this code: JEMDEK (I'll also receive print credit for any products bought using this code).